RPTA pays bills on behalf of your complex commercial real estate portfolio – across multiple states and jurisdictions – preventing costly penalties. If you’re managing a large commercial property portfolio that spans multiple states and jurisdictions, making property tax bill payments isn’t always straightforward. When a jurisdiction sends a property tax bill, they are not required to verify the address or property owner. They simply have to mail it to the last address on file. That means it’s up to you to manage payment due dates and deadlines proactively – or suffer potentially costly consequences. Late or missing property tax bill payments incur penalties, and interest starts accruing the day after the due date. If the tax goes unpaid too long, jurisdictions could legally sell your tax lien to a third party. The tax lien clouds the property’s title, forcing you to pay exorbitant fees to the third-party purchaser – on top of the taxes, penalty and interest that you already owe – in order to regain clear ownership of your property. Plus, you typically lose the right to file an appeal if you’re late paying the tax bill, which could be a costly mistake. Don’t leave your commercial property tax bill payments to chance and take a serious financial hit. Instead, let RPTA manage tax bill payments on your behalf. We track every deadline in every jurisdiction and execute payments for you, reducing your time spent and affording you peace of mind. We also leverage our deep expertise and refined audit process to spot erroneous bills. Don’t wait until you miss a property tax bill payment to work with an expert. 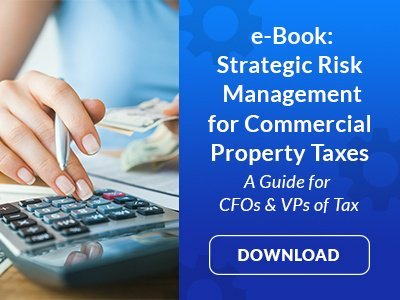 Find out how RPTA eliminates payment burdens and mitigates the exposure to risk associated with your commercial real estate portfolio’s tax liability.